Judging from some posts at TCISN over the last few weeks (and from some non-message board discussions I have heard), there is sentiment in some circles that it’s time to make a coaching change at The Citadel. This is, in my opinion, definitely a minority viewpoint, but it’s out there. It’s a position that reached its zenith in popularity following the offensive debacle against Georgia Southern, and I have to say it would be hard to blame anyone for having a knee-jerk reaction after sitting through that game. It was embarrassing. The improved performance against Elon last Saturday seems to have muted some of the “we need a new coach” talk, though. That said, I seriously doubt there is going to be a coaching change after this season. Actually, I would be really, really surprised if Kevin Higgins weren’t retained. Higgins is currently under contract through the 2013 football season. In this economic climate, there aren’t many schools that are prepared to let a coach go with three years left on his deal, and The Citadel doesn’t have a history of doing that, anyway. Just the opposite, in fact. The Citadel has honored the full contracts of “lame-duck” coaches like Don Powers in football and Randy Nesbit in basketball, just to name two. Another thing to consider is that after last season, his second straight losing campaign (and fourth in five years), Higgins decided to completely scrap his spread offense and move to the triple option. That doesn’t strike me as the move of a man worried about job security, because he had to know when he made that decision that the 2010 season was probably going to be difficult. Maybe he didn’t think it was going to be as difficult as it has turned out, perhaps, but he knew the potential pitfalls. I don’t know, but I would guess that before deciding to employ a new offense Higgins had a chat with AD Larry Leckonby about the move, just to make sure his position was safe for at least a couple of years. That also was likely the message Leckonby delivered to prospective assistant coaching candidates (Higgins brought in seven new assistants). Tommy Laurendine, for example, was in a presumably “safe” job at his alma mater, Lenoir-Rhyne. I doubt he would have taken the job at The Citadel if he thought there was a chance that it would only be for one year. The same is true for Josh Conklin and Bob Bodine, among others. Assuming Higgins is back for at least one more season, then, where does the program stand in relation to historical norms? Is keeping a coach with his overall and league record a good idea, regardless of contract status? What factors besides on-field performance need to be considered? First, let’s look at some numbers (keep in mind that at the time of this post, The Citadel has yet to play its final game of the 2010 season, which is at Samford). Kevin Higgins is 26-40 overall, 14-30 in the Southern Conference. 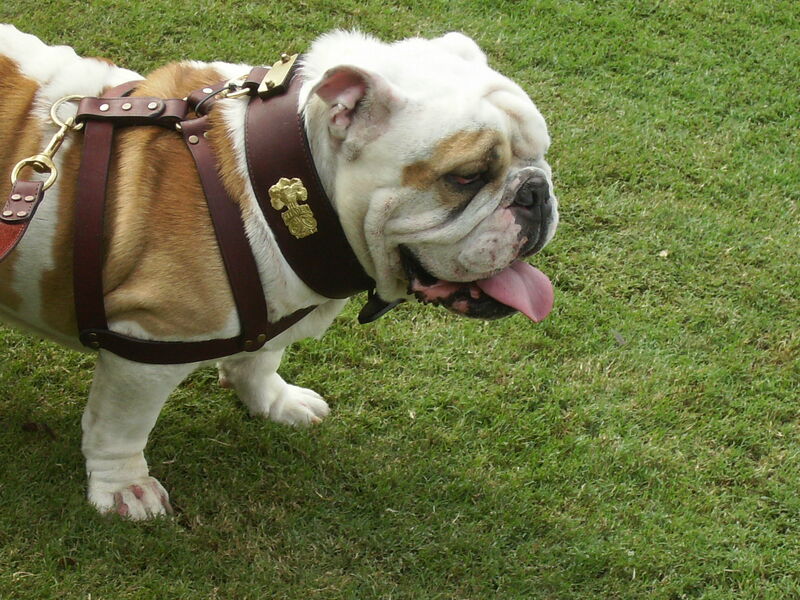 He has been the Bulldogs’ head coach for six full seasons. Twenty-three men have served as head coach of The Citadel. Eight of them coached prior to the school joining the Southern Conference. Tatum Gressette is the transitional coach in this respect, with the last four years of his eight-year tenure marking the first four SoCon campaigns for The Citadel. Counting Gressette, then, let’s take a look at how Higgins compares to those fifteen coaches who competed in the Southern Conference. There is more to this than just those placements, though. Higgins may only be 10th alltime in overall winning percentage, but of the five coaches behind him, three of them were his immediate predecessors at The Citadel. The other two, Quinn Decker and John McMillan, were the first two coaches at The Citadel following the program’s post-World War II restart. As for the SoCon record, Higgins has a better conference winning percentage than Ellis Johnson and John Zernhelt (but not Don Powers, interestingly), and also has a better mark than Tom Moore, along with John Rowland, Gressette, Decker, and McMillan. Starting with John Sauer, who only coached at The Citadel for two seasons, every coach who was at The Citadel between 1955 to 2000 has a better league record than Higgins, except Moore. That includes Eddie Teague, who succeeded Sauer as head coach, and three men then-AD Teague later hired (Red Parker, Bobby Ross, and Art Baker). Moore’s successor, Charlie Taaffe, also has a better SoCon record than Higgins. Comparing Higgins’ SoCon record to the Gressette/Rowland/Decker/McMillan group is probably pointless, though. For example, Gressette was 4-14 in league play over four seasons, but seven of his fourteen conference losses were to schools currently in the ACC or SEC. That doesn’t even take into account the difficulties Decker (and later McMillan) had in trying to bring the program back up to the level it had been prior to the war. It must have been hard, for the first nine seasons following the program’s return were losing campaigns. Neither Decker nor McMillan ever had a winning season at The Citadel. One thing to consider when evaluating a coach’s record at The Citadel would be, simply, how successful has the school been historically in football? What should expectations be? The Citadel has basically been a .500 program through most of its history. At the time it joined the Southern Conference, the school’s overall football record was 115-112-24. It had never had more than four consecutive winning seasons, or more than three straight losing campaigns. The ten years leading up to league membership were fairly typical: 7-3, 3-6-1, 6-3-1, 4-5-1, 4-5-2, 5-4-1, 4-5, 3-5-1, 3-5-1, 4-3-1. Even after joining the SoCon, the overall records (as opposed to conference play) continued in a similar vein. As I mentioned, though, in the post-WWII era the football program at The Citadel struggled. That included league play, despite the move of many of the SoCon’s bigger schools to a new confederation called the Atlantic Coast Conference. Things finally changed with the arrival, not of a coach, but of a general. Mark Clark wasn’t interested in losing. After a bit of a false start with Sauer (probably best remembered at The Citadel for bringing in a young hotshot of an assistant named Al Davis), Clark’s hiring of Teague finally got the football program on a winning track. In its nineteenth season of league play, The Citadel would finally finish with a winning record in conference action. That was in 1957. That’s right, it took nineteen seasons for The Citadel to have a winning league record after joining the Southern Conference. Think about that. Four years later, the school would win its first SoCon title. Earlier I stated that The Citadel has “basically been a .500 program”, but of course the actual overall record is 454-518-32. What I meant, though, is that for most of its history the school’s football program really puttered along at about a .500 clip, with two exceptions. The first is that nine-year period following World War II. The Citadel was 27-54-1 during that stretch. The football program is 64 games under .500 alltime, and 27 of those 64 games can be accounted for in that near-decade of losing. That’s arguably not the worst run in the history of the program, however (particularly if you account for the fact the program had been briefly dormant). The longest stretch of consistent losing The Citadel has ever had has been a 13-year period where the cumulative record of the team is 50-93, 43 games under .500, with eleven losing campaigns and only one winning season in that timespan. That includes an ugly 29-70 mark in SoCon play in those thirteen seasons. Those thirteen years? You guessed it. They are the last thirteen years. The current era is in the discussion for being the low point for the program, at least in terms of on-field competitiveness. Was there one event, a specific turning point, that led to the football program’s slide? I think so. Some people might claim it to be the dismissal of Charlie Taaffe, but that wasn’t the tipping point. No, the die was actually cast on November 23, 1999, two days before Thanksgiving that year. Don Powers’ team had gone 2-9 that season (after a 5-6 campaign the year before). Powers was essentially a caretaker-type coach, a fill-in for Taaffe, but after four years it was clearly time for fresh blood. Walt Nadzak made the decision to reassign Powers — and then was overruled by the school president, Major General John Grinalds. I linked Jeff Hartsell’s article about this move above; here it is again. It’s worth linking twice, because I think Grinalds’ decision, “honorable” as he thought it was, started the ball rolling downhill for the football program, and not in a good way. Sure, it was just one year. Sometimes, though, that one year matters. This was one of those times. Timing is everything in life, and that includes college athletics. In 1999 Nadzak was faced with a football program with a deteriorating on-field performance and a decrepit stadium. He also had to contend with issues over which he had little to no control, from the proliferation of college sports (especially football) on cable television to women at The Citadel. Nadzak knew he needed a new stadium, and he also knew that with it he needed a competitive team. He didn’t get either (although the stadium would come eventually). In a column written the following week, Ken Burger all but predicted that Grinalds’ move would signal the end of Nadzak’s tenure at The Citadel. He was correct. I would suspect (although I can’t say for sure) that the dead-in-the-water aspect to the program had an impact on fundraising, perhaps including the ability of the school to raise money for the new stadium. Things went slowly, too slowly, as the world around the school kept moving faster and faster. If you run in place, you don’t go anywhere. 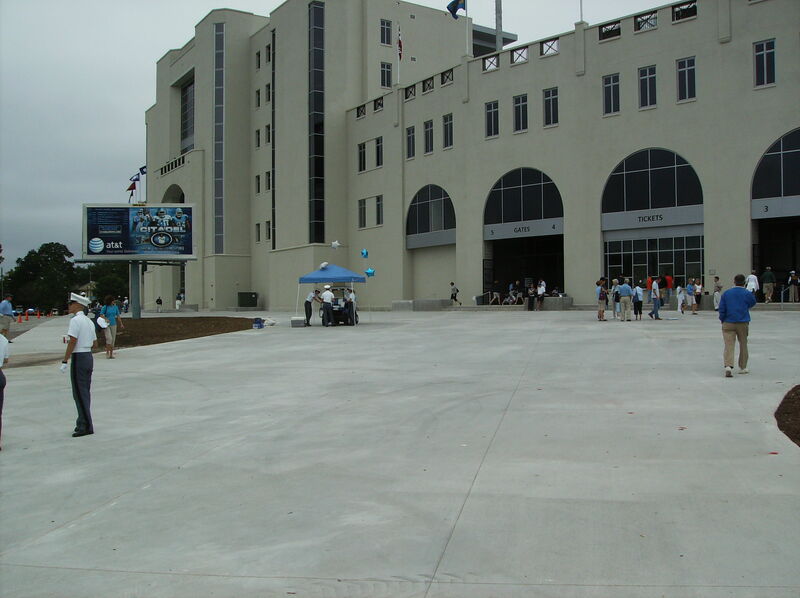 The Citadel needed a decent team to continue to draw fans, particularly because the stadium was becoming more and more of a problem, whether it was archaeologists digging up gravesites underneath the stadium for reburial, or the fact that you couldn’t turn on the stadium lights and the french fry machines at the same time because it would short out the electrical system, or having so many bricks fall off the facade that eventually they were all removed for safety reasons. 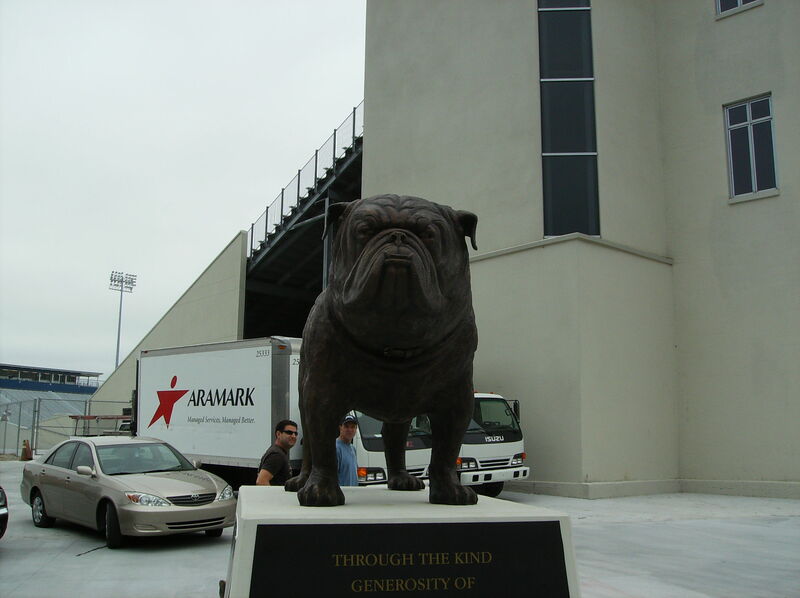 Now the school finally has a quality stadium, and it’s a first-rate facility. What it doesn’t have is a drawing card, a team good enough to bring in new fans (and revive interest from old fans). In the ten years prior to Kevin Higgins taking over as coach, The Citadel had an overall record of 36-74. That’s actually a worse record by percentage than the nine-year period following World War II I referenced earlier. 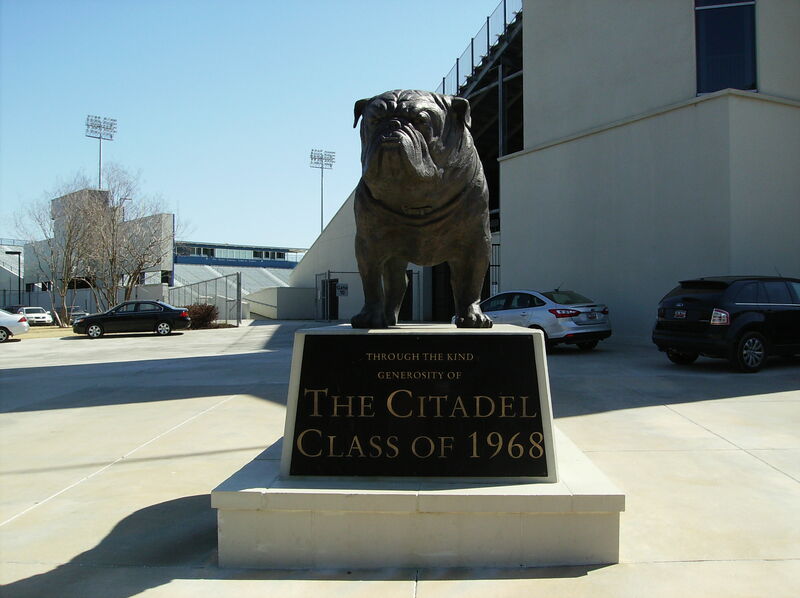 In addition, the school had not had a winning record in conference play since 1992, the year The Citadel won its second (and last) league title. That’s a lot to overcome. Higgins got off to a good start, but soon found that one year does not establish a trend, or even momentum. Can he get over the hump? Normally when a coach has his record after six seasons, he doesn’t get an opportunity to find out. However, I think the evidence suggests that Higgins had a higher mountain to climb than most, and that patience may in fact be warranted. There is an elephant in the room, however. I’m talking about home attendance. 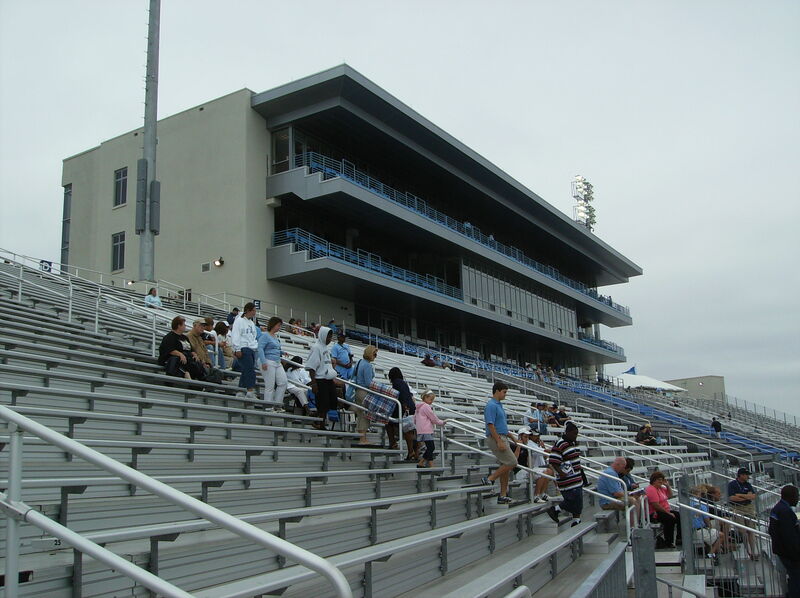 The Citadel now has a great facility, and (other than the on-field results) a very good atmosphere for home games, including the cadets, tailgating, etc…and attendance is declining at an alarming rate. Ouch. Ouch for the last seven years, really, but particularly for this season. I wrote extensively about attendance at Johnson Hagood Stadium in July of last year. That post includes my theory on how television impacts attendance at The Citadel’s home games, among other things. 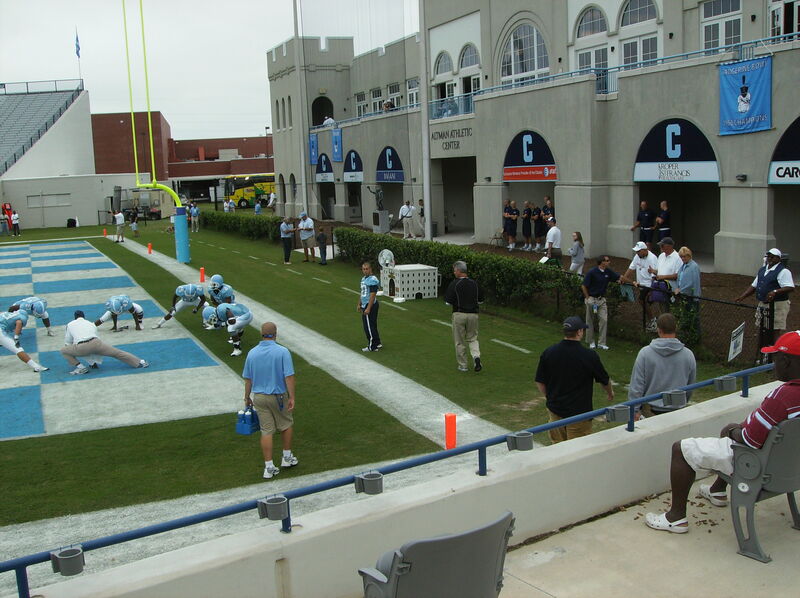 The Citadel cannot afford to have its home attendance continue to erode. It’s not the only school to have concerns in that area, as anyone who has watched ACC games can attest. Ultimately, though, attendance at Johnson Hagood Stadium has to get better. While baseball is the most successful sport at The Citadel, and basketball is the sport with the most potential for growth, football always has been and remains the bell cow for the department of athletics. It drives the entire department, and also has a significant impact on the school as a whole. Sagging attendance is a major problem, one that should concern everyone. Even if The Citadel has a breakthrough year on the field next season, I would be surprised if there is a dramatic improvement in home attendance. There is often a one-year lag between on-field/on-court success and attendance gains. Because of that, if the team were to turn the corner, and the triple option to start cranking out games like, say, Navy’s offense did against East Carolina last week, I don’t expect attendance to make a big jump in 2011 (although the home schedule should help, as Furman, Wofford, and VMI are all expected on the JHS slate of games). The 2012 season is when you would see dividends from a positive 2011 campaign. Basically, I’m fine with Kevin Higgins getting another year. I haven’t been completely happy with his tenure at The Citadel, even excepting the wins and losses; there have been issues from the unimportant (my continued frustration with the uniforms) to the all-important (the Rice/Starks episode, which was much, much worse than multiple 0-11 seasons would ever be). He seems to be popular with the administration, which is good. I thought it was interesting that the Alumni Association made him an “Honorary Life Member”; that news came after consecutive games in which his team didn’t score. I did wonder if someone was trying to make a statement to certain unhappy alums, but I suppose it was just coincidental. After next season, though, I think Larry Leckonby has to make a move if things don’t work out. At that time Higgins will still have two years remaining on his contract, but if the team does poorly Leckonby won’t be able to afford keeping him. He can’t make the mistake that was made over a decade ago. That’s the bottom line, even at The Citadel.